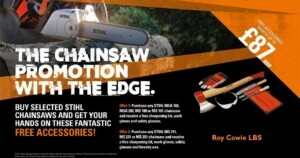 We have a great promotional deal running on Stihl chainsaws at the moment. Free essential accessories including filing kits, gloves and safety eye ware are free with the purchase of selected models. Give us a call, or pop into our shop for more details.